Dutch Springs is a premier site for birthday parties, corporate picnics, family reunions, and group outings. 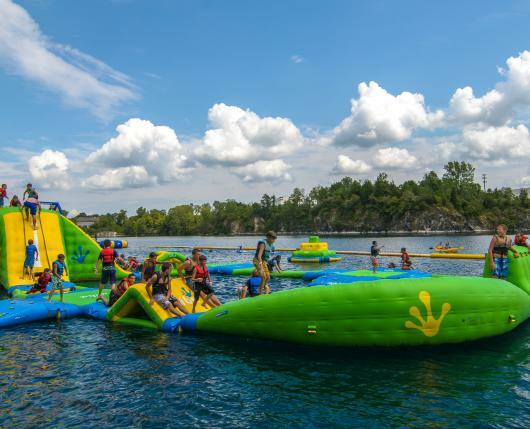 Dutch Springs also offers Summer Camps and educational opportunities, with team building activities and the PLAY Program (Promoting Learning Among Youth) for school aged children. 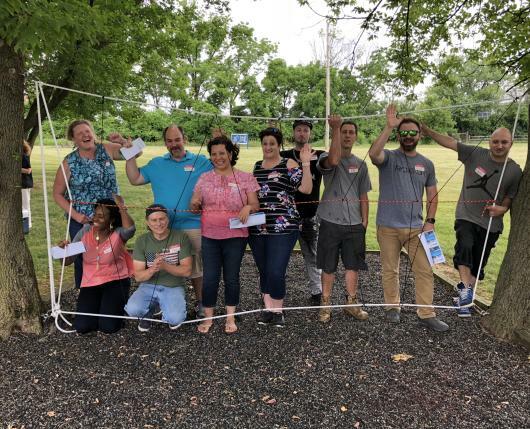 Their unique, natural setting conveniently located in the center of Lehigh Valley offers recreational, experiential facilitated team development opportunities in both outdoor and indoor settings for teams ranging from a dozen to 500. Internet access and limited on-site food service is available with options for full catering, as well as the Aqua Park and land-based recreational facilities. 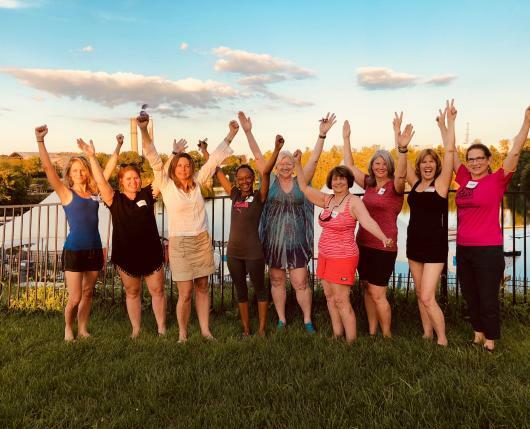 Under the direction of Dutch Springs’ professional facilitators, activities are guaranteed to improve your team’s overall performance, cooperation, and coordination. Dutch Springs features a 50-acre lake in a natural setting full of endless fun. 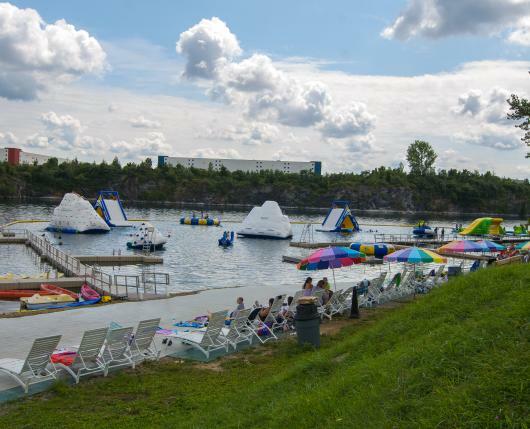 With over a dozen inflatables including Icebergs, trampolines, challenge courses, and more, Dutch Springs provides some of the best climbing, sliding, jumping, and splashing in the region. Or soar high above on Sky Challenge, the two-story climbing wall and high ropes adventure course. Certified divers may dive the many underwater attractions, including a school bus, fire engine, and helicopter. The Discover Scuba program teaches the scuba need-to-know and takes you on a guided tour of the lake! Easily accessed from Interstate 78, Routes 22 and 33. Internationally known as one of the largest fresh water facilities in the United States for scuba diving. Click here to link to the local Lehigh Valley forecast.